Kane Kessler’s Litigation practice group is comprised of exceptional trial and appellate attorneys with the knowledge, experience and judgment to navigate clients through the most complex commercial disputes. The Litigation practice group represents a wide array of clients in all stages of litigation, from investigation and commencement of a lawsuit through trial and appeal. Efficiency: We are cognizant of the drain on resources that legal disputes can entail. We work closely with clients to manage disputes proactively and position them to achieve the most effective outcome. We carefully staff our cases to provide our clients with efficiency, predictability and cost effectiveness without ever compromising the quality of our work. Experience: Our litigation attorneys have deep knowledge, sophistication and decades of experience. While we strive to resolve disputes before trial, our litigation team is adept at trying cases. 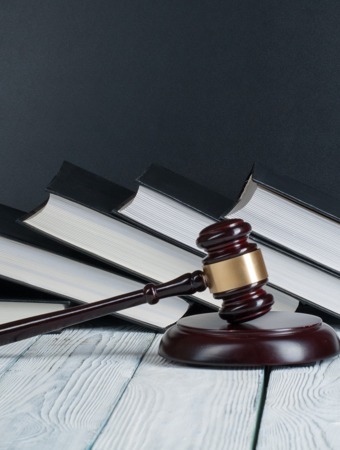 We have conducted trials in more than 25 state and federal courts throughout the country, and we have frequently appeared before state and federal appellate courts and the United States Supreme Court. In addition to traditional litigation, we routinely represent our clients in mediations, arbitrations and other alternative dispute resolution venues. Responsiveness: Kane Kessler litigation attorneys treat each matter with uncompromising dedication. Understanding your business, goals and needs is essential, and respecting your time and resources is a top priority. We involve our clients in all phases of a litigation to ensure seamless communication so that they can fully evaluate the ramifications of their case. We are cognizant of the drain on resources that legal disputes can entail. We work closely with clients to manage disputes proactively and position them to achieve the most effective outcome.